When fatwa-online first came on the scene (around 2000), salafipublications.com, troid.org (and others) were amongst the most vigorous in promoting the fatwa-online site, the initiative to develop a fatwa based website for the Muslims was something well-received, emails and announcements were regularly forwarded on the TROID and SP mailing lists and there was evidently clear cooperation with this da’wah effort on the part of SP and TROID. In fact, one might say that these two websites (that preceded Fatwa Online) helped to popularise the fatwa website and showed complete cooperation with this effort at its onset and the praise is for Allaah. So this is the manner in which we found those at Maktabah Salafiyyah for Fatwa-Online and we accepted this advice and let the issue go. 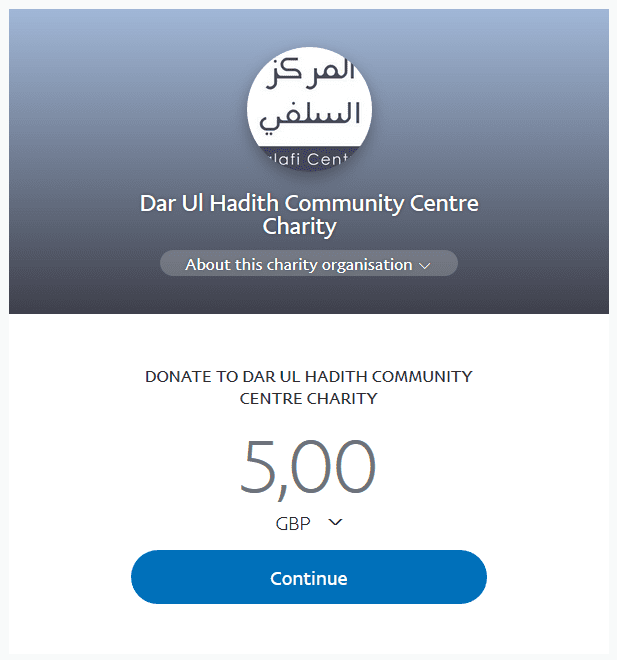 Despite not wanting to ref/affiliate troid.org, as the years passed, the open referencing and affiliation of Green Lane Masjid increased (amongst others) and I think this is an important point, as time was taken to promote the da’wah of those hosting the likes of Yaasir Qadhee and Abu Usaamah (and one can check the threads on Green Lane for a large listing of problems) to the exclusion of Masjid as-Salafi and many of the du’aat in the UK known for their Salafiyyah. In fact if one were to search the yahoogroup for fatwa online, one would find 26 emails referencing green lane and 1 referencing salafipublications, both organisations are in the same city, one known for salafiyyah, the other known for hizbiyyah, so there is no doubt as to where their allegiances lie. Years later, I finally met with an individual involved with fatwa online. In having discussions with him we found that the conversations often and quickly turned to the issues of Abu Khadeejah, Maktabah Salafiyyah and focusing negatively on their efforts, efforts which we see as the most consistent and most clear in spreading the salafee da’wah and connecting the people to their Scholars in the West dating back more than 15 years! In one instance, I had breakfast with one of the representatives of fatwa online in which it was the first time we met, the conversation turned quickly to speaking about Abu Khadeejah this and Abu Khadeejah that…and when we had barely met! I just remembered years early, how Abu khadeejah how spoken so well of the same individual, protecting his honour and encouraging us with cooperation and good thoughts wallaahul musta’aan. So we respected our brothers and their efforts in giving da’wah, we gave them our attention and listened to what they had to say and we did not find except that their contention (with Maktabah Salafiyyah) seemed personal and misplaced and that is was a debacle that they would support and promote Green Lane Masjid and speak against Masjid as-Salafi. Lastly, there should be no doubt in anyoneýs mind that Maktabah Salafiyyah (and TROID for that matter) sought to cooperate with Fatwa Online for many years, turning a blind eye to much, until it became something no longer possible due to the allegiances they (Fatwa Online) attached themselves too. We ask Allaah for safety, ameen.